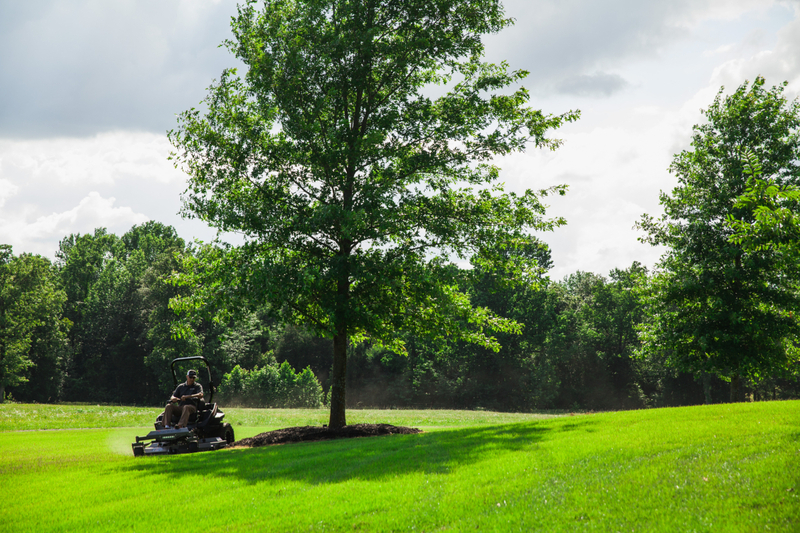 When it comes to choosing between a regular riding lawn mower or lawn tractor and a zero turn mower, there are a lot of reasons to make the switch. 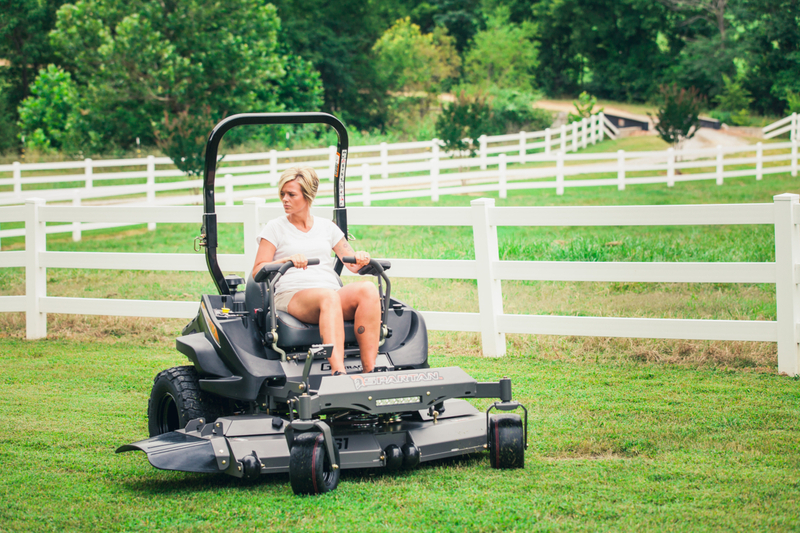 Zero turn mowers give you better maneuverability, you can cut your mow time in half, save money on fuel since you mow your lawn faster, and with a Spartan Mower, you get an incredibly smooth and comfortable ride. However, there are many people who shy away from the thought of switching to a ZTR simply because of how you drive them. Here are a few tips to help you see just how easy it is to drive a Spartan Mower. Like other riding lawn mowers, zero turn mowers are also rear wheel drive. The difference is that each of the rear wheels is controlled independently and allows for the amazing zero turn radius. Instead of a steering wheel, most zero turn mowers like the Spartan Mower use two levers to maneuver. To drive, you push both levers forward and away from your body to go forward and pull both levers towards your body to go backward or in reverse. To turn, move only one lever at a time. Simple, right? If you have ever looked at a zero-turn mower, then you may have noticed that there isn’t a brake or gas pedal. That is because zero turn mowers use the motions of the levers to control the movements of the wheels. In order to go forward, slightly move both levers slightly forward. Once you are ready to speed things up a bit, move both levers even more forward. If you are new to using a zero turn mower, it’s always best to start out slow. Most riding lawn mowers and lawn tractors average about 5 mph. However, the Spartan RZ Series mowers start out at 9 mph, and our Spartan SRT XD Mower with a Vanguard/37 HP engine can get up to 13 mph. Stopping a zero turn mower is easier than you think. It just takes getting used to and a little practice since most people transition from a riding lawn tractor that is set up like a car with a gas and brake pedal. To stop, all you have to do is move your levers back to the neutral position. The best thing about zero turn mowers is their ability to get up close to obstacles and make incredible zero radius turns. These mowers can make a 180-degree turn without repeatedly moving backward or forward. Yes, it’s pretty cool. However, making quick turns can cause gouges and damage to your lawn. The 3-point turn is the recommended turning method for most zero turn mowers. Slow down before making the turn, turn slightly, back up, and finish the turn for the next row. The goal of the 3-point turn is to keep all wheels moving because stationary wheels can tear up your lawn when turning. It may take a little bit of practice, but once you get it, it’s like riding a bike. It is recommended that you only use your zero-turn mower to mow hills with less than a 15-degree incline. Even if you have been driving zero turn mowers for a while, it’s important to always keep safety in mind. 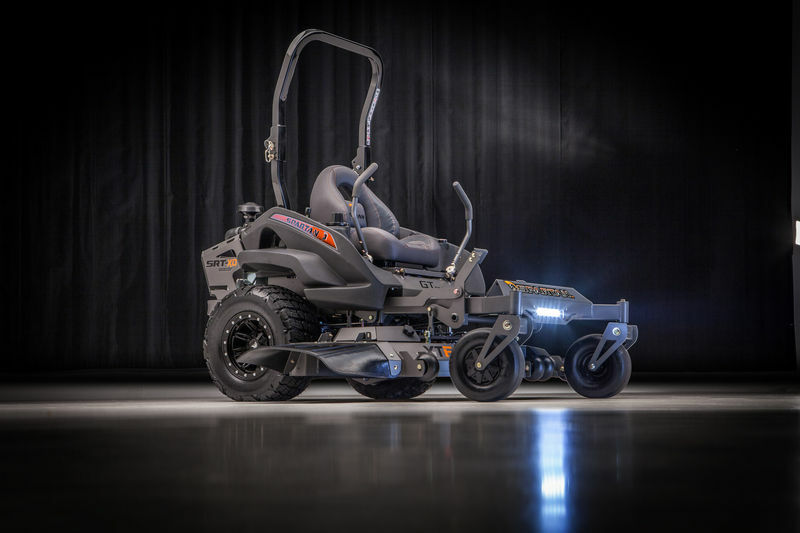 VISIT YOUR LOCAL SPARTAN MOWER DEALER TODAY! With just a little practice and patience, anyone can drive a Spartan Mower. While we can’t give you a full driving course, we can help answer some of your questions about driving and give you a few tips and tricks on how to get the most maneuverability out of your Spartan Mower. Use our DEALER LOCATOR to find a Spartan Mower Dealer near you and go see for yourself just how easy it is to drive a Spartan.